A study series on seven books of the Bible, covering seven genres, with a whole-life discipleship focus. We don’t read a novel the same way we read a legal document. We don’t read poetry in the same way we might read a letter from a friend. So, we don’t read the 66 books of the Bible as if they were all the same kind of writing. Story, song, law, letter, and more, all make up the rich repository of writing that together is God’s word to us. Each type plays a different role in shaping our minds, hearts, imaginations, and actions. Together, they deepen our reading of the whole Bible and open a gateway to new biblical application for our lives – seven days a week. For The Gateway Seven series we’ve selected seven books of the Bible representing seven genres: Proverbs (Wisdom), Exodus (Law), 1 Peter (Letters), Ezekiel (Prophecy), Ruth (Narrative), Mark (Gospel), and Revelation (Apocalyptic). 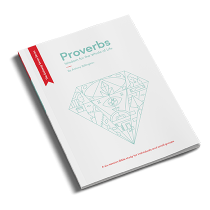 The series, beginning with Proverbs, will offer study guides and preaching packs for each of the books with a whole-life discipleship perspective. The mini-features sprinkled through the studies, along with the questions and thoughts for discussion, help you understand each book within its background and genre as well as the content of the book itself. Each study has been crafted with the same desire: to offer a gateway to a deeper love of God’s word and richer insights into its implications for all of life, Monday through Sunday. Share with the church, keep your own. 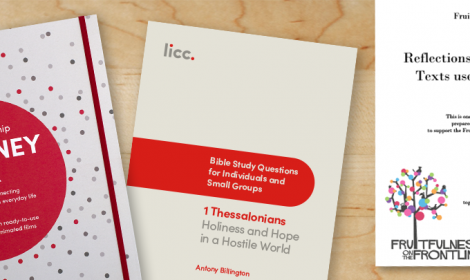 Perfect for on-your-own study, small groups, or to integrate with a preaching series, these beautiful, keep-able books are designed so everyone can have their own copy to make notes in, reflect further, and go deeper in study. 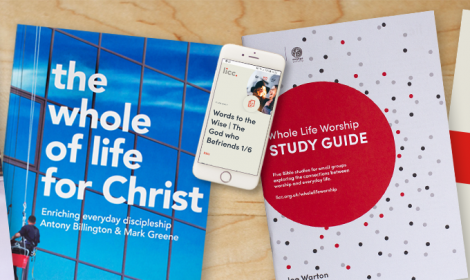 Preaching packs will accompany each book (beginning Autumn 2019), for church leaders and preachers who want to create a teaching series and use the books with their congregation. Proverbs has been published in November 2018, with Exodus and 1 Peter to follow in Autumn 2019. In biblical wisdom, know-how is rooted in know-God. Proverbs teaches us that this godly know-how is useful for all of life: for daily decisions and long-term plans, for work and trade, as well as for relationships in family and community. This six-session guide will encourage your growth in a wisdom that is rooted in relationship with God, shaped by his ordering of the world, and that finds its ultimate expression in Christ.